Manhattan College ITS Blog: Do You Have a Personal Backup Plan? Do You Have a Personal Backup Plan? Most of us would like to say that we are extremely diligent about protecting our data and backing it up on a regular basis. However, we know that this is not always the case. Fortunately, backups are easier than ever before thanks to a plethora of options available to most end users. It is critical to create a backup plan for important files and make sure those backups are stored in a separate location (physically or in the cloud) so you can avoid losing valuable information if your computer is lost, stolen, compromised, or simply fails to turn on one day. When it comes to backups, just like security, you want to find a balance of being thorough but efficient. We have all heard disastrous stories of losing homework due to the blue screen of death or a misplaced cell phone that tragically stored the only copy of family photos. In addition, you could fall victim to ransomware or another malicious attack that leaves you with no choice but to reinstall your computer's operating system (OS). It never hurts to consider your backup strategy and come up with a plan that leaves you feeling safe and secure. Here are some tips to get you started. The ideal backup strategy will typically include both an online backup service (Google Drive) to ensure your data is secure no matter what happens to your mobile device or computer. 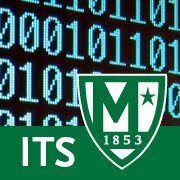 Manhattan College IT Services provides unlimited cloud storage with your JasperNet credentials to faculty, staff and students so you can back up your files. If you upload your files to Google Drive you can access them from anywhere. IT Services recommends Google Drive File Stream for storage and back up of files. Partially reposted from September 2018: Do You Have a Personal Backup Plan?